The 2018 Audi A4 delivers just about everything you’d expect from a small luxury sedan. There’s quick acceleration, a comfortable ride, and the latest connectivity and navigation technologies. The fact that it does it without overwhelming you makes it the car to get in the segment. If you are thinking about purchasing a new or pre-owned Audi A4 in Vaughan, then our Pfaff Audi Vaughan dealership and pre-owned sales facility at 115 Auto Park Circle in Woodbridge are the placed for you! Read on for more information about the Audi A4 in Vaughan. Powering the 2018 Audi A4 is a spirited 2.0-liter, turbocharged four-cylinder engine. This is the same engine used in a number of other Audi vehicles. While the front-wheel-drive version develops 190 horsepower, the AWD variant is tweaked to produce 252 horsepower and 272 pound-feet of torque. When tested on the track, the AWD A4 clocked a brisk 0-60 time of 5.5 seconds. While driving the 2018 Audi A4, you can look forward to getting solid fuel economy. The front-wheel-drive model can deliver an EPA-estimated 27 mpg in the city and 37 mpg on the highway. Meanwhile, all-wheel-drive models are rated to deliver 24 mpg in town and up to 34 mpg on the open road. Audi does recommend the use of premium fuel. If you desire a more engaging driving experience, the optional Sport package will prove to be a worthy upgrade. 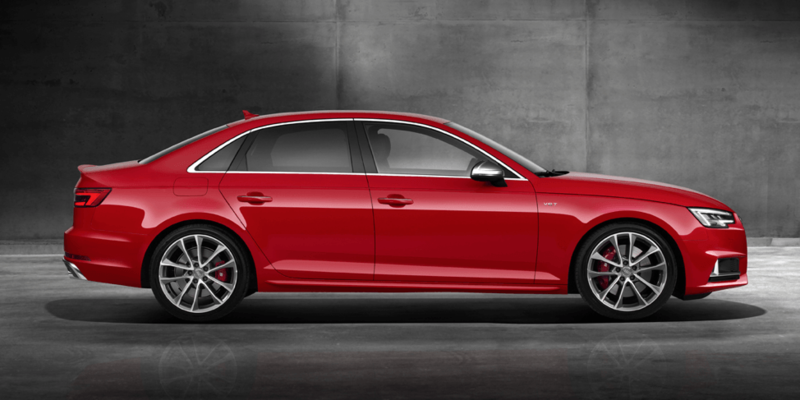 This package includes a performance-tuned suspension, which helps sharpen the A4’s handling. You will also benefit from a few interior upgrades, including a three-spoke steering wheel and sport seats. Quattro all-wheel drive is one of the highest-rated AWD systems one the market. It will certainly give you an extra peace of mind when traveling on slippery roads. The Quattro AWD system is definitely a must-have feature for the drivers who live in snow-prone regions of the country. As soon as the system detects a spinning wheel, it will immediately seek to improve traction. The Audi A4 is available at our Pfaff Audi Vaughan dealership, and at our pre-owned sales facility at 115 Auto Park Circle in Woodbridge. If you are considering the purchase of an Audi A4 in Vaughan, then hopefully this article has been informative. For more information about the Audi A4, please feel free to continue browsing through our website. Click here to find out contact information, schedule a test drive, or to fill out our contact form.